“Estava bonissim!! !” “That was delicious!” We found ourselves saying that frequently throughout the day. 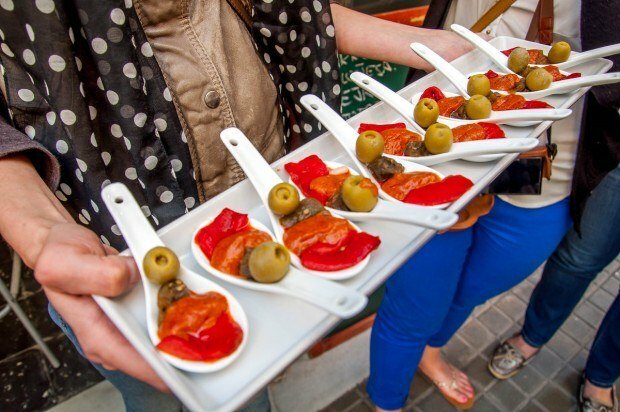 Each stop on our Devour Barcelona Food Tour was more delicious than the last. 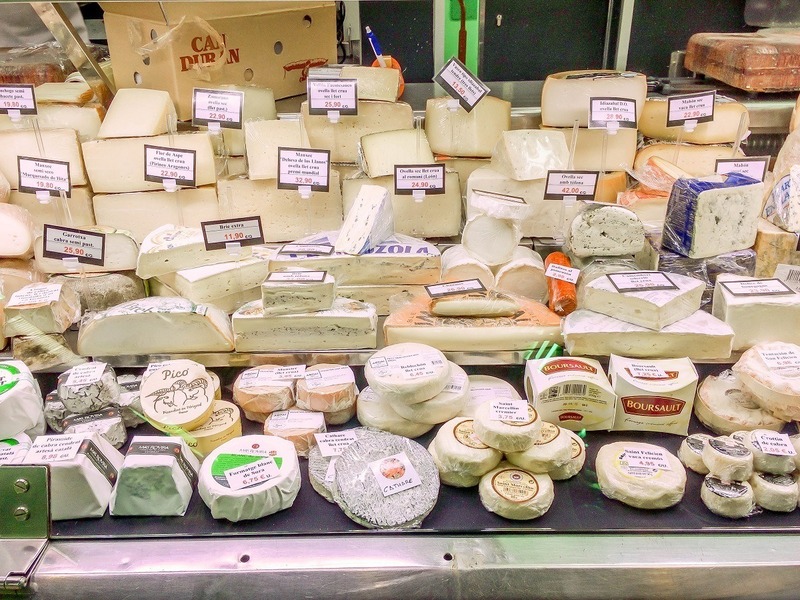 Not having any experience with Catalonia food, we’re glad we took the tour for the highlights. While Catalonia is a region in Spain, they are fiercely independent people. Flags of independence wave in the breeze. Yet, for a region so focused on independence and local pride, Barcelona has adopted a more traditional Spanish-style of dining: tapas. 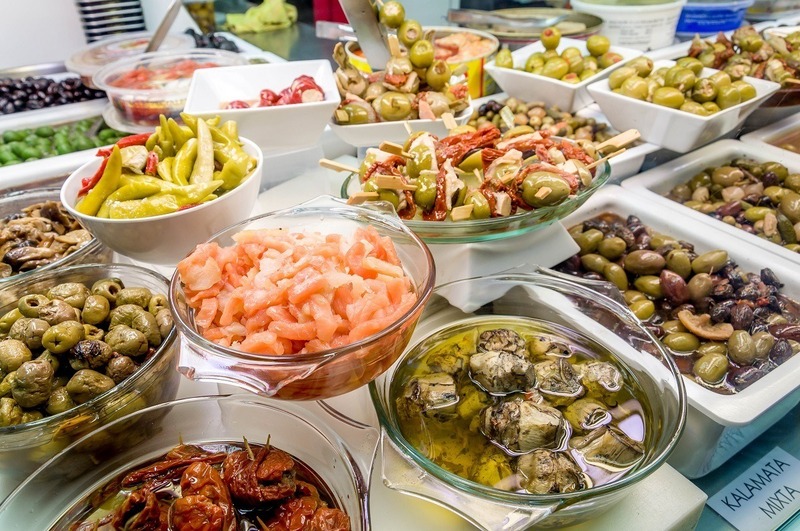 Tapas is not indigenous to Catalonia, but the locals have embraced it with a flair all their own. Our culinary guide on the Devour Barcelona food tour was Renee, an American who married a Spaniard. 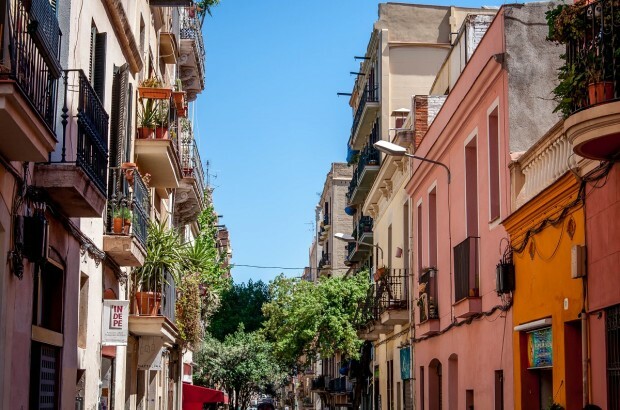 She skillfully navigated the back alleys of Barcelona’s Gràcia neighborhood and zeroed us in on the best: the best markets, the best cheeses, the best tapas stands and everything else. We’ve taken food tours in Budapest, New York City, London, and Amsterdam before and have found this to be the best way to really appreciate the local cuisine. And there’s no better way to learn about a culture than through its food. The tour really could have been called The Tastes of Barcelona: Savory, Salty and Sweet. And we tried them all! The Spanish love their ham! 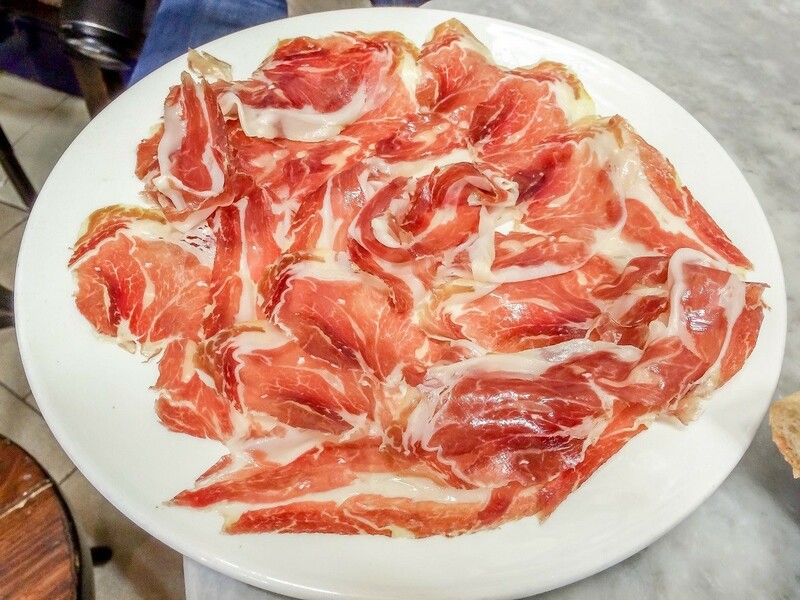 At its core, Catalonia food is basically savory. For a city on the Mediterranean Sea, there is more hearty meats and filling dishes than you’d expect. A perfect example of this is the Grilled Botifarra Sandwich, which was the first dish on the food tour. This is a spiced (note: not spicy) sausage sliced in half and served on a fresh French bread. It’s a very filling “second breakfast” option. While most culinary oriented travelers are familiar with Spain’s salty Manchego cheese, the country produces a number of other fine cheeses. 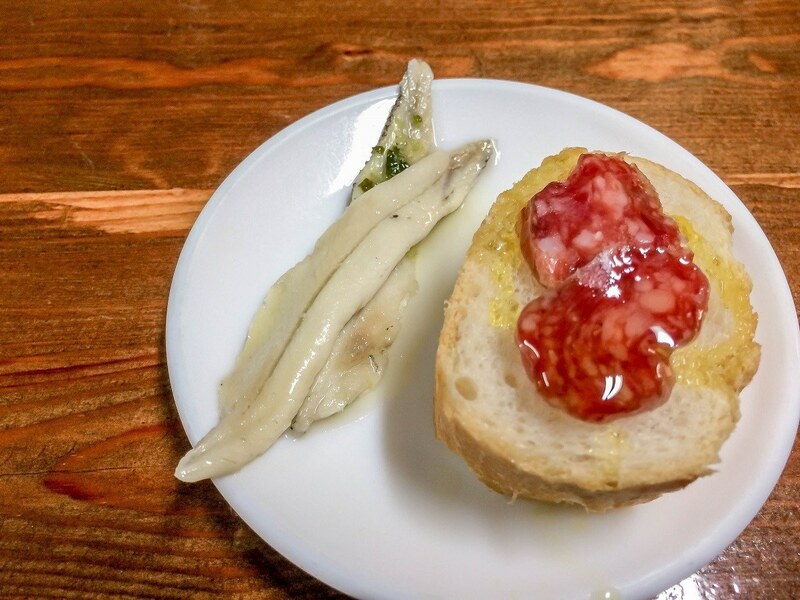 We enjoyed the Urgelia paired with Quince and also the smoky Idiazabal. I could eat the Spanish and Catalan cheeses at every meal. The most ubiquitous of all dishes in Catalonia is the Pa amb tomàquet. 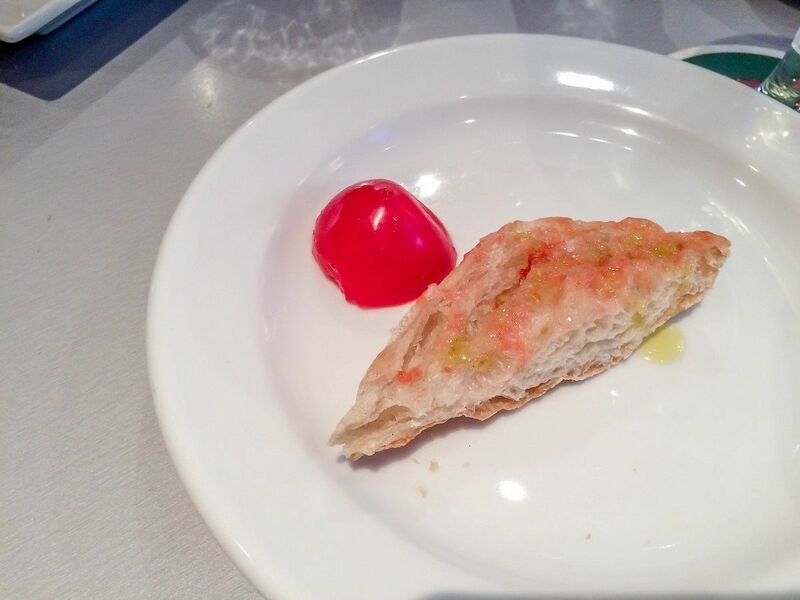 This is a piece of semi-hard bread rubbed with a garlic clove, then smeared with the inside of a tomato and finally drizzled with olive oil. It is heavenly. 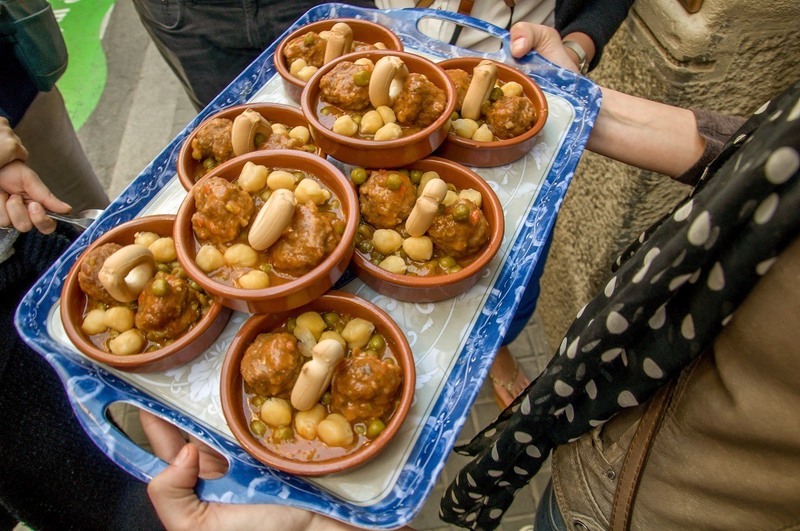 Served to tourists as an appetizer, many residents in Barcelona’s Gràcia neighborhood eat them for breakfast. Pa amb tomaquet (Pan Tomat) – bread with rubbed garlic, tomato and olive oil. 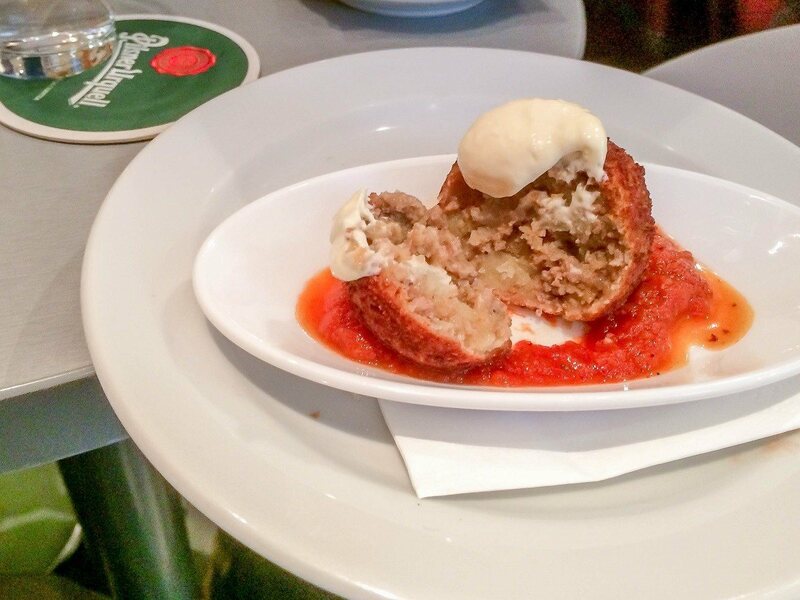 Arguably the most recognizable of all Catalan dishes is the “Bomba” potato. There is a lengthy backstory on the history of this dish that relates to the Spanish Civil War, anarchy/civil disobedience and a female capitalist. It was a good story…but we forgot it. And you will too when you try the “Bomba.” This is a potato croquette with fine, minced beef that is then topped with the brava sauce. This dish is the only thing that comes close to approximating spicy in Catalonian cuisine. The savory theme continued through the end of the Barcelona food tour: a heavenly meatball in a bean and pea gravy. If it ever came down to a last meal, this dish would make the shortlist for consideration. Generally, what isn’t savory in Catalonia cuisine is salty. Very salty. 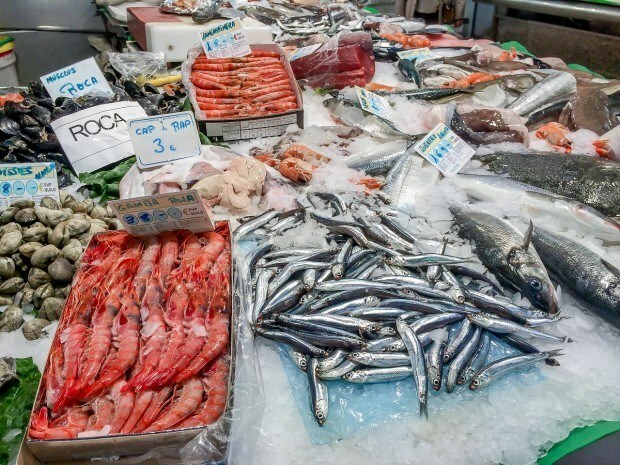 And the only real experience with seafood in Barcelona was of the salty variety. Renee shared with us that due to the poverty during fascism, salted cod was one of the few solid staples available – and became a deeply ingrained part of Catalan cooking. We enjoyed juicy brown olives with sundried tomatoes and a chunk of salted cod. Not a fan of salty fish, can’t say this was my favorite, but I tried it. If you don’t like the salted cod, the pickled anchovies that come near the end of the tour are probably going to turn you off. 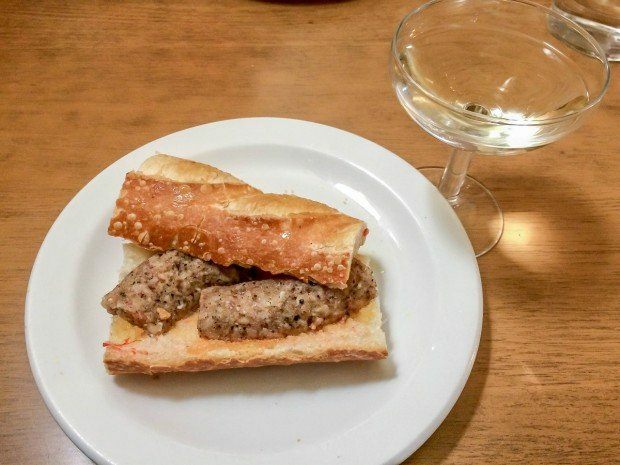 However, the anchovies were paired with hard, pork sausage that made a perfect pairing. While I didn’t love the two salty fishes, these items are deeply loved by locals, so worth a try. Anchovies, not a fan. Fuet (pork sausage), fan. The best desserts in Barcelona are not Catalonian, nor Spanish. The best desserts are Syrian! 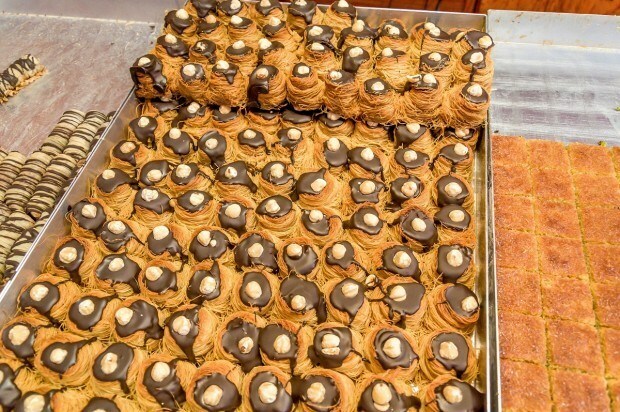 Syrian immigrants have been making amazing pastry treats in the Gràcia neighborhood for years! We were able to pick our favorite and I became deeply familiar with the chocolate with almonds. This spot is a must for a return visit! 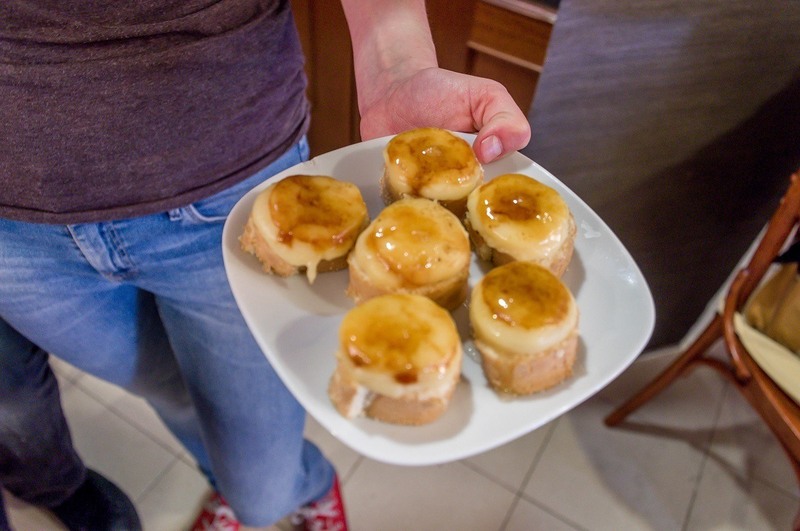 A bit more traditional, the final stop on the tour is for a mini cremat – a kind of crème Brule like dish. It’s a light, refreshing afternoon snack before heading off for an afternoon of sightseeing. Certainly, the Barcelona food tour is about food. But food would not be complete without beverages to wash it down. Enter Cava. Spain’s answer to Champagne, Cava is without pretense or arrogance. 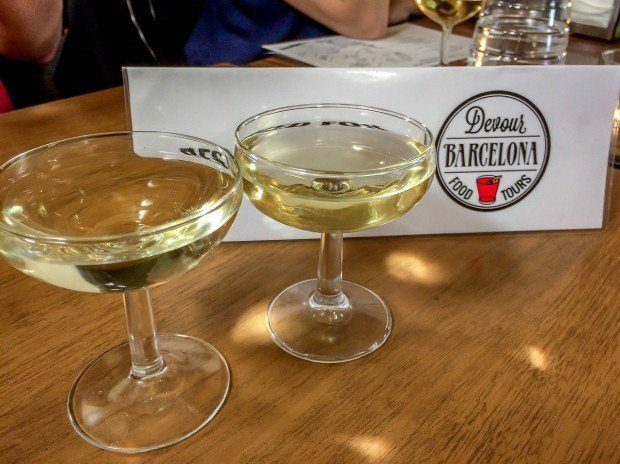 Cava is a drink for everyone in Spain – and at all hours of the day. Vermouth is back! Barcelona has a strong drinking culture and they like their local drinks. Local Perruchi red vermouth (made in Barcelona for over a hundred years) is lightly spiced and has no bitterness. We drank it neat, but it would be great to mix in a cocktail. And that leaves spicy. There just isn’t a lot of spice in either Catalan or Spainish cuisine. It’s not that the food is bland – far from it. It’s just that the more humble elements come to the front in this region. And that suited us just fine. Do you want to know where to go and eat these delicious dishes? Take the Devour Barcelona food tour! 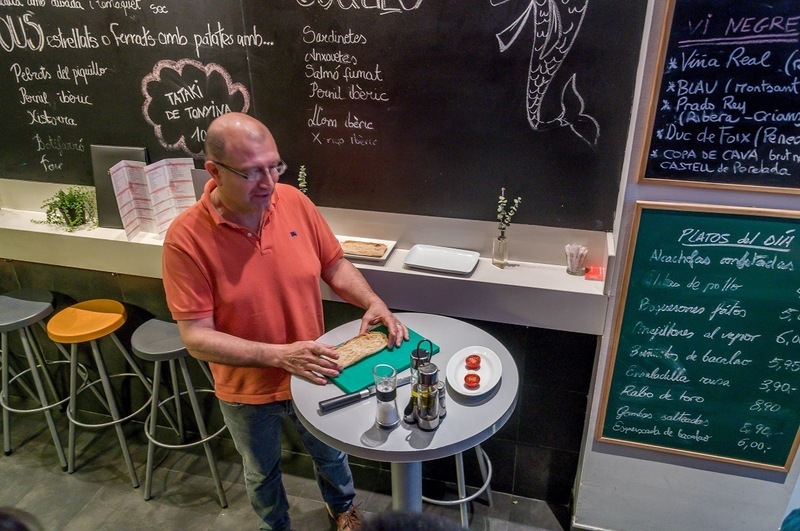 We were the guests of Devour Barcelona food tours. As always, all opinions of the sweet, salty and savory are our own. Tours daily at 9:30am, 10:30am, and 11:30am. The tour runs between 3-4 hours. : €59 adults, €49 for teenagers, and €35 for children 12 & under. Groups are limited to 12 people. : The meeting point for the tour is outside the Valentino store at Passeig de Gracia 108. Valentino is not open at that time, so you’ll have to return later for shopping. : While the walk is not strenuous, comfortable shoes can be very helpful. At many of the stops, there is not a place to sit, so you’ll be standing and move for a good portion of the tour. Also, if you love your morning coffee, get it before you arrive. Bringing a bottle of water is also very helpful, otherwise, you can purchase one at the second stop on the tour. 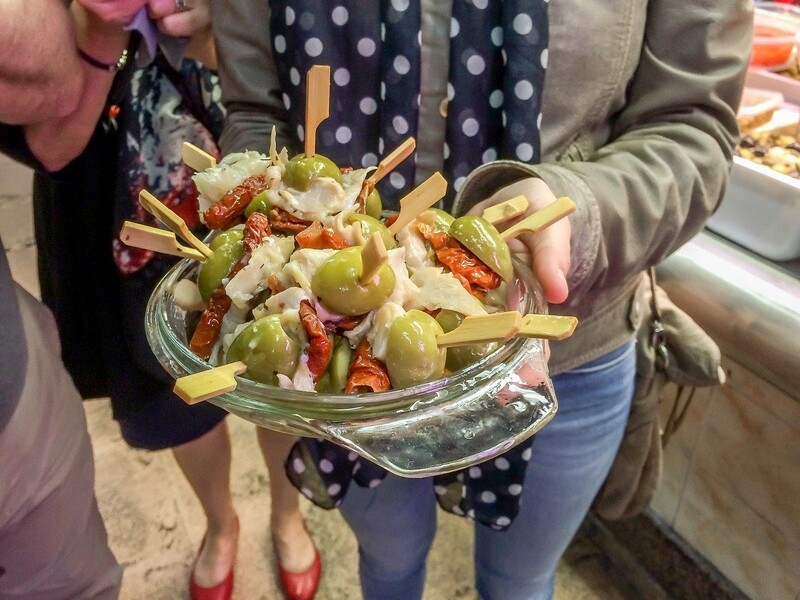 What do you think about A Sweet and Savory Barcelona Food Tour? Wow! Just incredible! I really cannot believe that Barcelona food can look so good.. because the taste, yeah, I get it! It totally convinced me to travel there! I can`t wait! Haven`t been to Barcelona yet, but it is on my plan for this summer! I will remember all your advices about Barcelona and the area around. I can give you the best insights for food in Bucharest! We have amazing bread and pastries, but of course, the traditional cuisine is the best. 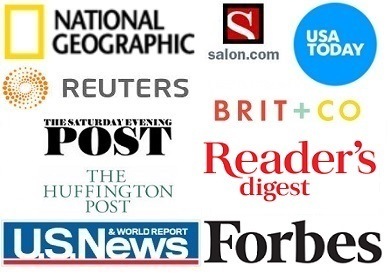 I would be happy to help with insights and probably a small tour. 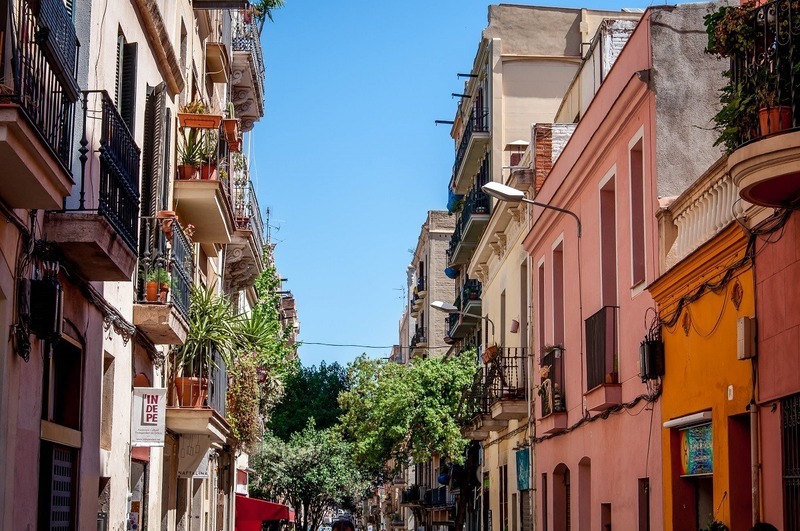 I have been to Barcelona twice and absolutely love it including the food! I enjoyed how you broke down the different categories of food in Catalonia. 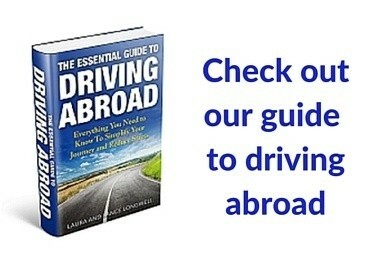 I will definitely keep this tour in mind on my next trip! Thanks Nadeen! We loved the food of Catalonia – everything about it is awesome!